User ID – Enter the User ID or Client ID for the report to use. Client ID – if the ID entered is a Client ID, check this box. 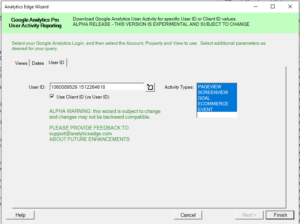 Activity Types – select all activity types to include in the report.